Snapchat is at it again with a new stunt that the internet will surely love. Those who've procrastinated picking out their Halloween costume can rejoice at the latest news from Snapchat... as Snap is offering a $79.99 Dancing Hot Dog costume. We aren't joking. Snap is really doing this. 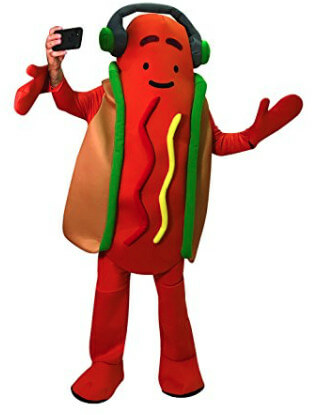 The Dancing Hot Dog Costume can be found on Amazon for just $79.99 USD. If you decide to buy the costume, Snap is even offering free shipping. Have fun, impress your friends, and achieve your wildest dreams (probably) with the Dancing Hot Dog costume! Perfect for any dance floor, from flattened cardboard to picnic tables. As the world's first augmented reality superstar, you can now dress up as everyone's favorite all-beef b-boy and have a dance battle with the best of them! Are you going to "achieve your wildest dreams"? If you enjoyed this article, please tap the share button below - it's a tremendous help in getting more people see the article.